Beloved of all who knew her, Virginia B. Spalding, died at age 95 on January 25, 2019 in Iowa City, IA. Virginia Esther was born to Mary Elizabeth Beeler and Philip Rothrock Burford in Nevada, MO. She grew up in Sedalia, MO and graduated from Smith Cotton High School, before moving to Kansas City, MO to work in the payroll department of Hallmark Greeting Card Company. She then enrolled at Park College, where she worked in the College President’s Office. Virginia later earned her BA degree in social work at the University of Iowa. In 1945, Virginia married The Reverend James C. Spalding. Virginia was a true partner with James in his education, ministry, teaching, research, and service. They moved to Poplar, Montana for a year, where James was the minister on the Fort Peck (Dakota) Indian Reservation, and subsequently to New York City, where James earned his PhD in religion at Columbia University and Union Theological Seminary. His dissertation was the first of many that Virginia edited and typed with 5 sheets of carbon paper, on her beloved manual typewriter at only cents a page. During their time in New York, Virginia worked at the William Randolph Hearst Publishing Company. They spent 1946-48 in Zürich and Basel, Switzerland, and Tübingen, Germany, during James’ studies. During these post-war years, they befriended many destitute families and secured them food and clothing from American friends and churches. They sailed back to New York aboard the Queen Mary. Sadly, the rough voyage caused them to lose a son at birth. Shortly thereafter came the births of Paul and Helen (twins), and Peter while James taught at Missouri Valley College and served as pastor of First Presbyterian Church in Slater, MO. He later taught at Trinity College in San Antonio, when Mary arrived. In 1956, James joined the University of Iowa religion faculty. Virginia volunteered full time while also managing a growing family, that also included Ann, just as the others were entering their teenage years. 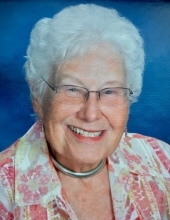 Virginia’s life was dedicated to social justice and service to others. She was devoted to seeking out those less fortunate and finding the resources and interpersonal support for them to succeed. Refugees from multiple wars, including the Hungarian, Romanian, and Chinese Cultural revolutions found a safe home with the Spalding family. She was a second mother to many. Virginia held numerous appointed and elected positions in local, national, and international Presbyterian, civil rights, social justice and peace-making organizations. Politicians heard from her regularly concerning policies on equality, hunger, and war, and she followed up with gratitude or disappointment in their work. She and James were key to founding St. Andrew Presbyterian Church in Iowa City, and active leaders during its first 50 years. She was President for 2 years of the Johnson County United Nations Association Chapter, and active in UNICEF, Habitat for Humanity, and Amnesty International. She volunteered locally with the Free Lunch Program, Hospice, the Food Bank, and the Crisis Center. In the church, she served on committees, locally and nationally. She wrote hundreds of meeting minutes, reports, and newsletter columns. Her travels on behalf of peace and justice included trips to Romania, East Germany, Palestine, and South Africa. In her later years, she crocheted almost 375 hats for the newborns at the University of Iowa Hospitals, representing almost 1500 volunteer hours. In 1986, she was a founding member of the Sunrise Women’s Reading Group, which continues to meet weekly at 6:45am. For several years after moving to the Oaknoll Retirement Residence, Virginia was part of the group that met weekly to make fresh floral centerpieces for the two restaurants there. She enjoyed her many friends there and was a fierce competitor in her weekly Skip-Bo group. One of her favorite recreations was shopping at The Crowded Closet, a Mennonite thrift shop. Virginia was preceded in death by her parents, 6 siblings, a son, and husband. Surviving are her children, Dr. Paul S. Spalding (Dr. Almut G. Spalding), Jacksonville, IL, Helen H. Spalding (Dr. Karl F. Johnson), Lacey, WA, Dr. Peter M. Spalding (Jody P. Spalding), Santa Fe, NM, Dr. Mary S. Larew (James C. Larew), Iowa City, and Ann L. Price (Kenneth Price), Loveland, CO, 11 grandchildren, 4 great-grandchildren and her best friend since 4th grade, Helen Perucca. The family thanks all her loyal and devoted friends and Oaknoll staff for the kind care provided for Virginia in her final years. In lieu of flowers, memorial donations may be made to the Southern Poverty Law Center and Habitat for Humanity. A memorial worship service will be held at 7pm on June 7, 2019 at the Congregational United Church of Christ, 30 N. Clinton, Iowa City, IA. "Email Address" would like to share the life celebration of Virginia Spalding. Click on the "link" to go to share a favorite memory or leave a condolence message for the family.